Browse Flexible Wedding Rings For Women Only $19.99. Browse Flexible Wedding Bands For Men Only $19.99. 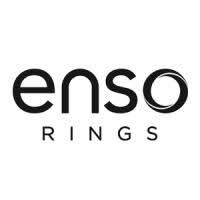 Enso Rings produces their own line of custom jewelry pieces made completely out of synthetic materials, including a fully silicone product lineup of rings and bracelets. First-time customers can sign up for a free email newsletter account with this company to receive 25% off of their first order, and customers using the NEW YEAR coupon code can get an additional 25% off site wind. Free shipping is included on every purchase of at least $30, and the Sale section routinely features outgoing products and closeout merchandise available at significantly discounted rates. Multiple rings and jewelry pieces can be combined for exclusive discounts, too.